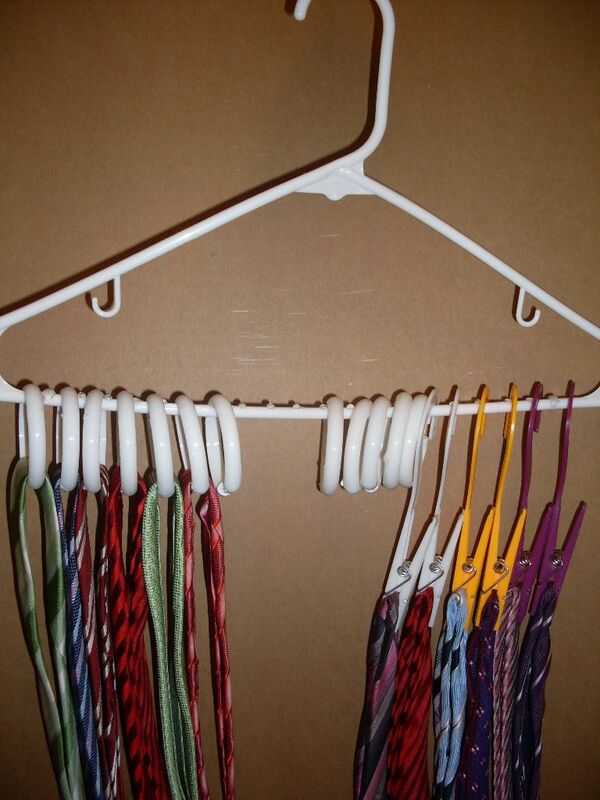 Plastic clothes hangers are easy to come by as they are cheap and widely available. This is probably why most people have dozens of them just lying around in their wardrobe or stored in a box in the attic. Fortunately, you can use plastic hangers to create a variety of useful tools and crafts than just to hang your clothes. The good news is that you don’t need to have exceptional skills to make DIY craft items with plastic hangers. In fact, you can repurpose surplus hangers with the help of a few simple tools and raw materials. Here are 13 ideas that will introduce you to the various possibilities to create craft with plastic hangers. With the help of this idea, you can use a plastic hanger as a makeshift stand when working on your laptop. Take a plastic hanger with clips. Now clip the left end of the hanger to your laptop screen’s rim. Use the right side clip to hang your notes. However, you may not be able to hang heavy objects such as magazines as this is a makeshift arrangement. On the plus sides, however, you don’t need to use any tools for this project. Just like most others, you are also likely to throw away a plastic hanger if it breaks down at the center, believing that it can’t be used for its intended purpose anymore. Don’t worry! With this hack, you can find a way to reuse it. Take a broken plastic hanger and stretch the broken side just enough to slide a paper towel roll through it. Repeat the same procedure to replace it with a fresh roll. There! You have a homemade portable paper towel dispenser without spending a dime. Hang it anywhere you like. Irrespective of the number of times you try to organize your flip flops and sandals in the shoe rack, it just turns into a big mess. You can get rid of this problem with just a few plastic toddler hangers. You will need a sharp utility knife and a cutting board. Place the hanger on the cutting board. Make a sharp cut at the curvature of the hanger where both frames meet. Do this on both sides. You can use these small hangers to organize your flip flops and sandals. Just hang them on a bar in your closet or shoe rack. This craft with plastic hangers presents another way of using a broken plastic hanger (you can also cut one right in the center). Instead of sliding in a paper towel roll, you can insert ribbon spools in the hanger. Though you can use a wire hanger for this craft, it is safer and easier to plastic hangers. Unlike a paper towel dispenser, you will need to glue the broken ends together. You can also use duct tape to do this. You can also use yarn to wrap the hanger to add a bit of color. Instead of replacing your old plastic hangers with brand new non-slip hangers, you can use a glue gun to make your own non-slip hangers. As plastic hangers are not environment-friendly, repurposing them into non-slip hangers will help reduce pollution. Take a glue gun and create a zigzag line along the left side of the hanger. Repeat the same procedure on the right side of the hanger. Allow the superglue to dry completely before hanging your clothes. You can also add rubber bands to the hangers to keep your dresses from sliding off the ends. However, this is not an attractive alternative. If you want get creative, use pipe cleaners to build non-slip hangers. Wrap the pipe cleaner over the bent area. Continue wrapping a fresh piece of pipe cleaner over the tail end of the previous one. There is no need to use glue. You can either wrap both corners of the hanger or cover the entire hanger. Scarves can surely add extra mileage to your fashion statement. However, even the most organized people run out of ideas when it comes to storing them properly. Here is a simple craft with plastic hangers that will provide a reliable storage solution without spending too much dough. You will need a plastic coat hanger, shower curtain rings, scrap fabric or yarn, and some super glue. Make a ring pattern on a plain paper. You can make a variety of ring patterns depending on your storage requirement. Arrange the rings according to the desired pattern and mark the contact points using a permanent marker. Stick them together with the help of super glue. Wrap them with scrap fabric or yarn once the glue has dried. Keeping your chips, dry snacks, and fresh food from spoiling will become a lot easier with the help of these homemade chip clips. Grab a few broken plastic clip hangers. But, make sure the clips are intact. Just cut the clips off and use them to close dry snack bags. 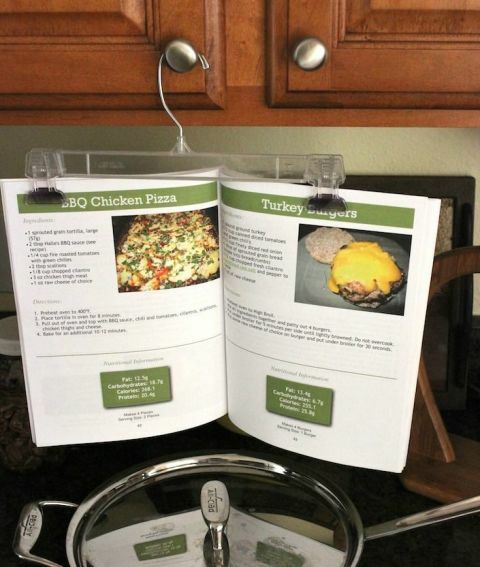 If you have a lightweight cookbook that you need to refer to, clip hangers can come in handy. Just open the book and attach the top part to both clips. You can now hang the book on the nearest cabinet door. One of the most common complaints about using plastic hangers is that they often create shoulder bumps, damaging the clothes. However, this simple hack will allow you to create a homemade wrinkle-free hanger in just a few minutes. Get a pool noodle and cut it to fit the hanger’s shoulders. Make a hole in the center to push the pool noodle through hanger’s head. Seal the ends of pool noodle with duct tape. You can add a piece of pool noodle to fit the horizontal part of the hanger so that it can keep your pants wrinkle-free. 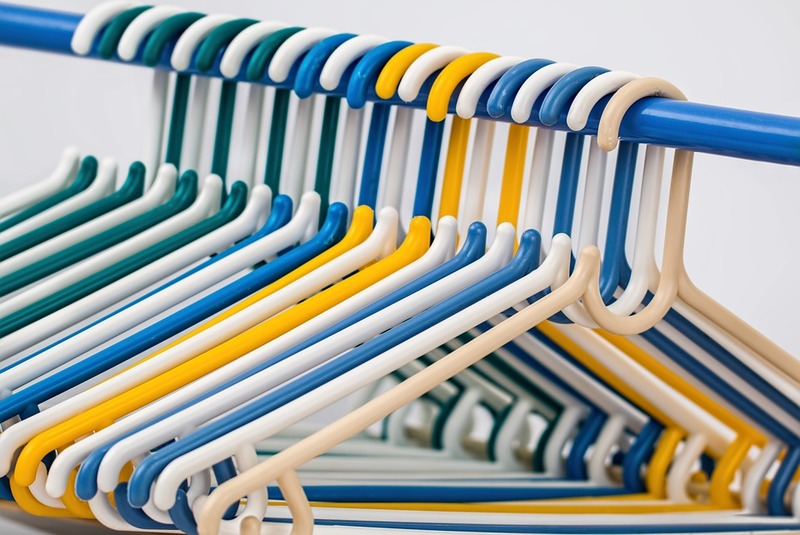 Most people, however, have different types of hangers such as wire hangers and wooden hangers, apart from the plastic variety. 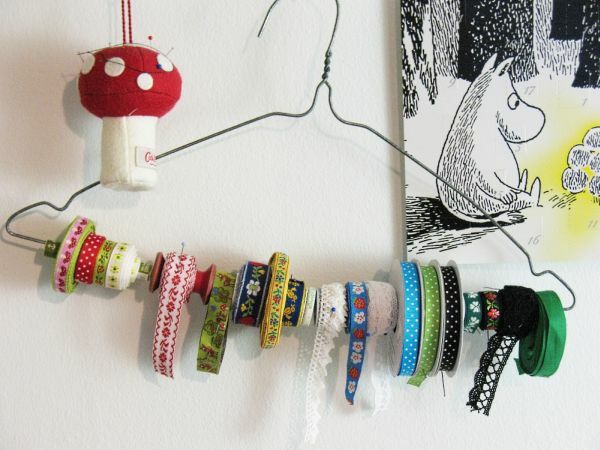 So, as a bonus, here are few craft ideas for non-plastic hangers. Chances are, like most women, you too have dozens of earrings, pendants, necklaces and other knick-knacks accumulated over the years. Though you can store them in a glass holder, using a wooden hanger is much safer and stylish as well. You’ll need a hand drill, wooden coat hangers, and small eyelet screws or metal hooks. Pre-drill a few small holes (about an inch apart) on the bottom of the hanger. Fasten the eyelet screws or metal hooks in the holes. Isn’t this a great way to display your jewelry collection? You can hang these organizers in your wardrobe or on the bathroom wall. Every parent is looking for new ways to display their kid’s artwork. However, as kids will keep making new things, you need a display that comes with an easy way to replace the artwork regularly. This is where this hack comes in. You will need a metal skirt hanger and retro clips or clothespins for this craft. 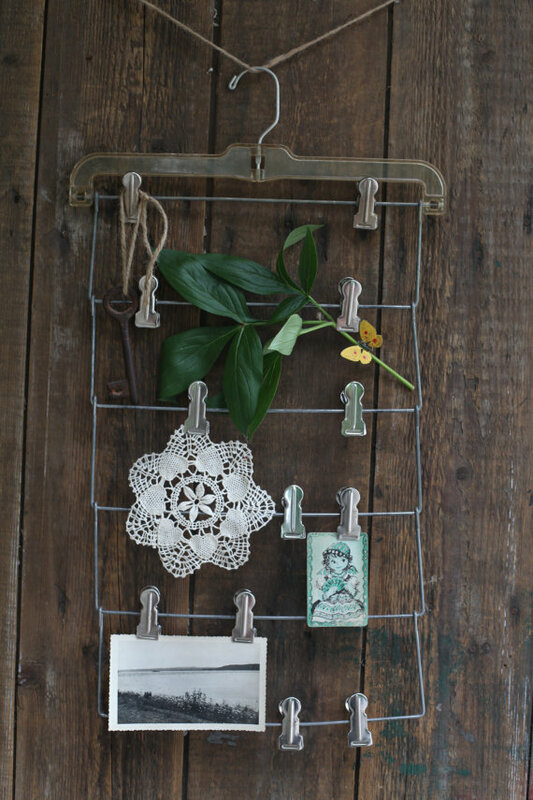 If possible, try to find a vintage skirt hanger as it will add extra glamour to the display. Use retro clips (for a vintage hanger) or colorful clothespins to hang your children’s artwork on the straight side of the hanger. Keeping your neckties organized can be a tough task. If you loop them over a closet bar, they slide off easily. On the other hand, putting them in a closet drawer will turn them into a wrinkled mess. This easy-to-make and cheap tie holder offers the perfect solution to this problem. Grab a metal or wooden coat hanger and a few shower hooks (plastic or metal whichever you like). Attach the hooks to the straight side of the hanger. And add your neckties through the hooks. You can also use this setup to hang your belts. 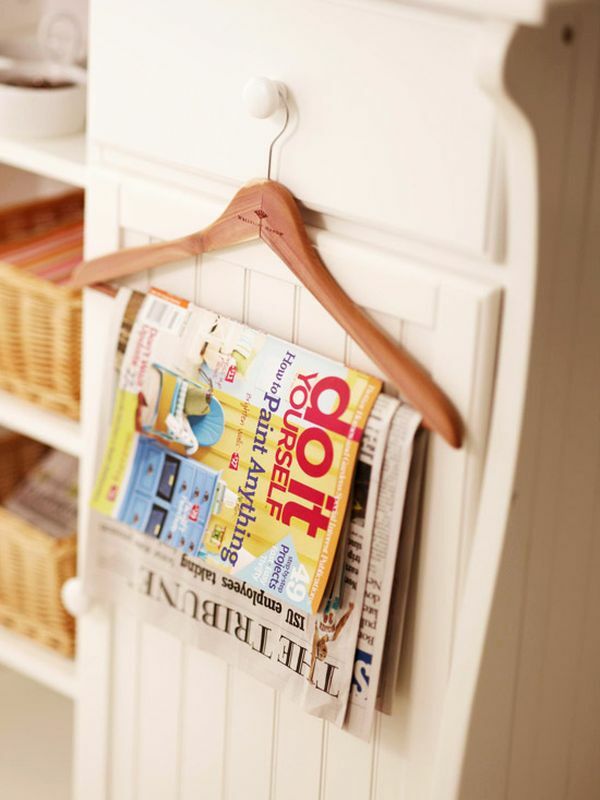 If your magazines and newspapers tend to pile up in your living room or bathroom, these repurposed clothes hangers will keep them safe from children and your household clutter-free. You can use any type of hanger for this hack except plastic ones as they can bend under heavy load. Just hang your newspapers and magazines on the straight side of the hanger. You can even put together a few magazine holders creating a lovely art display in your living room. Clothes hangers can have several different applications than the ones they are intended to fulfill. Hopefully, these ideas will help you repurpose the plastic hangers that are piling up in your storage over the years. Do tell us which ideas you liked the most. And, yes don’t forget to share new clothes hanger crafts in the comments section below.